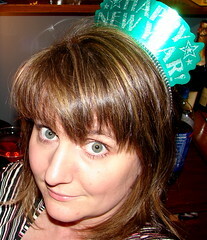 glad you had a fun NYE - i just KNOW that 2007 will be a fantastic year for all of us! I saw Edward Scissorhands when it was in San Francisco. I didn't know it was all dance so at first expected dialog like in a musical. Once I got over that, it was awesome. The guy who played Edward was so good.